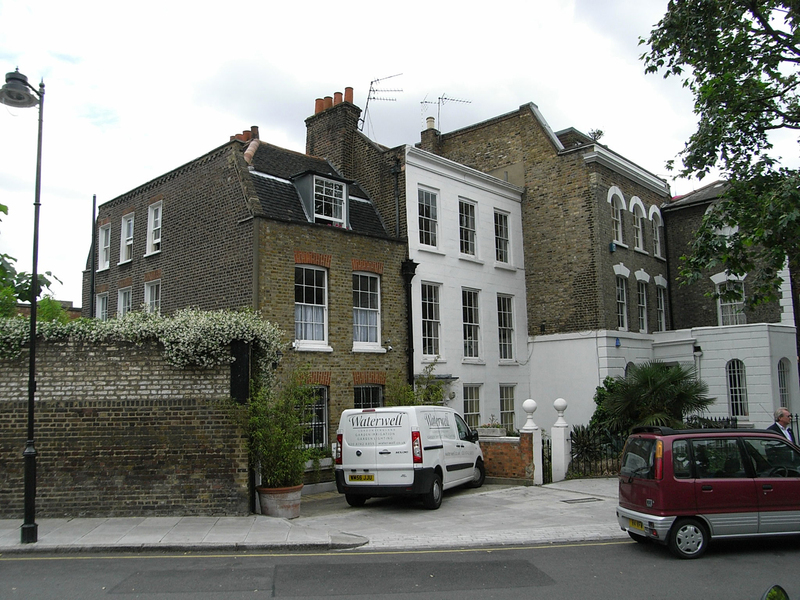 This Grade II listed house is one of the earliest surviving houses in Islington, built around 1727, possibly as early as 1717. It is entered from a busy street via a beautiful courtyard garden, and the original house has two stories, an attic and a basement. 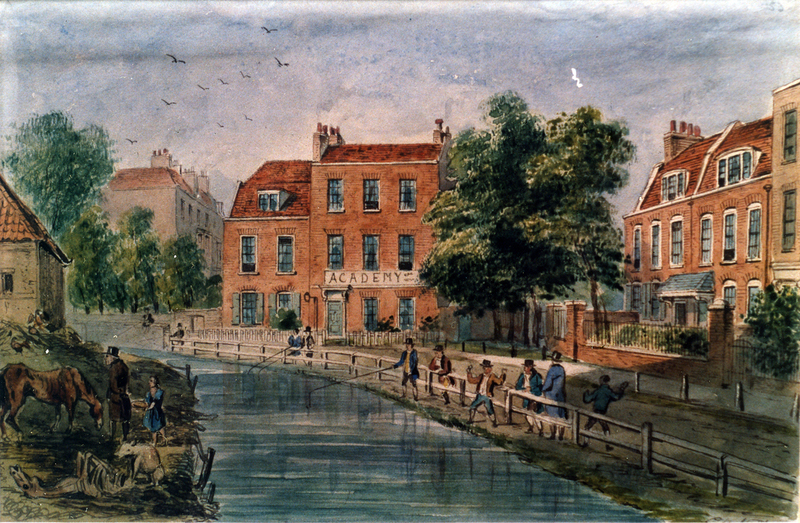 A 19th century watercolour by C. H. Matthews shows this house and the Row as it would have been in the 18th century. 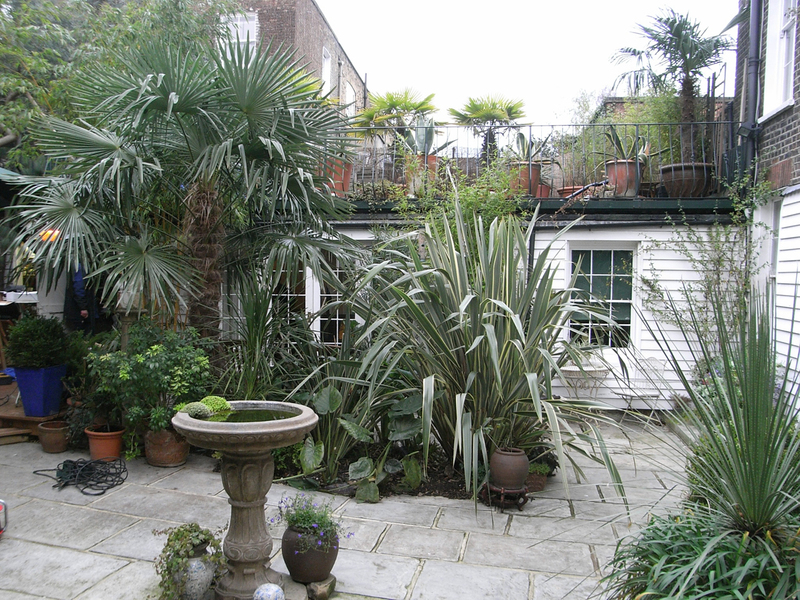 The house already had a side extension with a roof terrace above it. 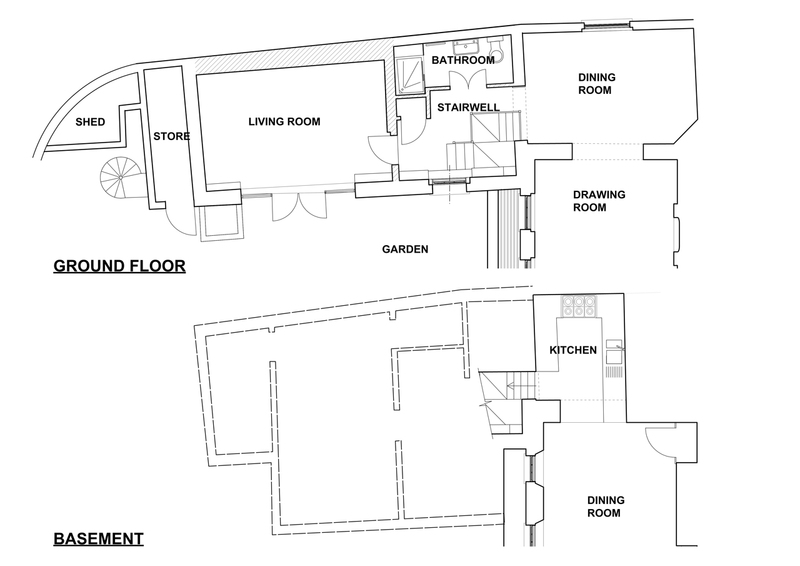 Despite this extension the house is quite small, with only two rooms per storey, and two bedrooms and a small kitchen in the basement. 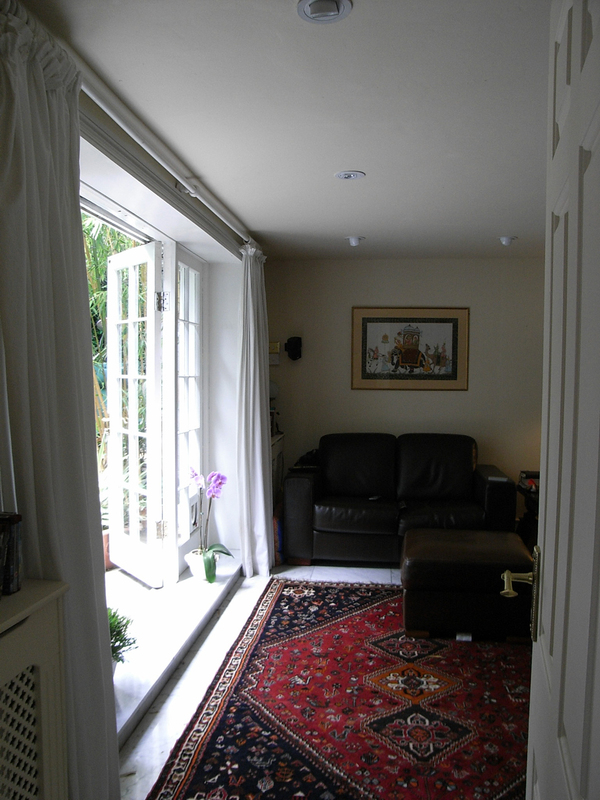 Work to this house has been carried out by RMA over many years in phases. We have added a new kitchen in the basement dining room, converted the old kitchen into a utility room, and converted the front basement cellar into an artist’s workshop. 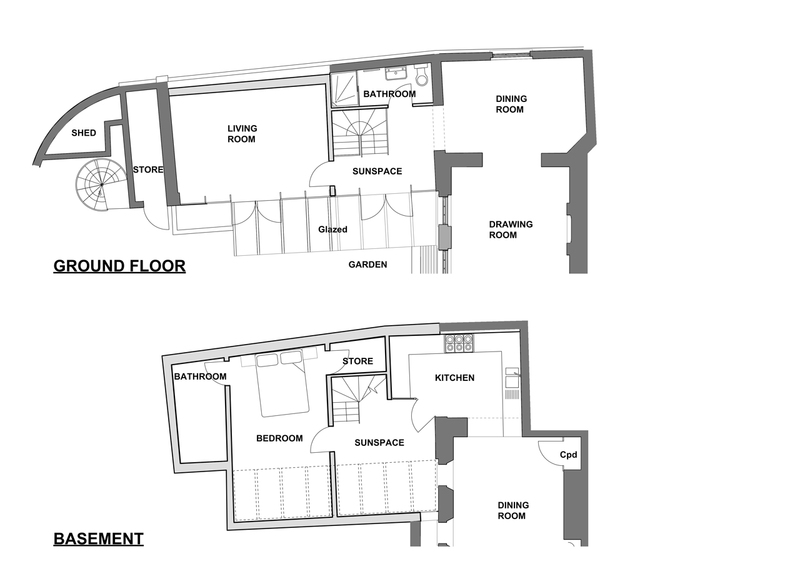 We have also prepared proposals to replace the current timber-clad ground floor extension with its faux Georgian interior. 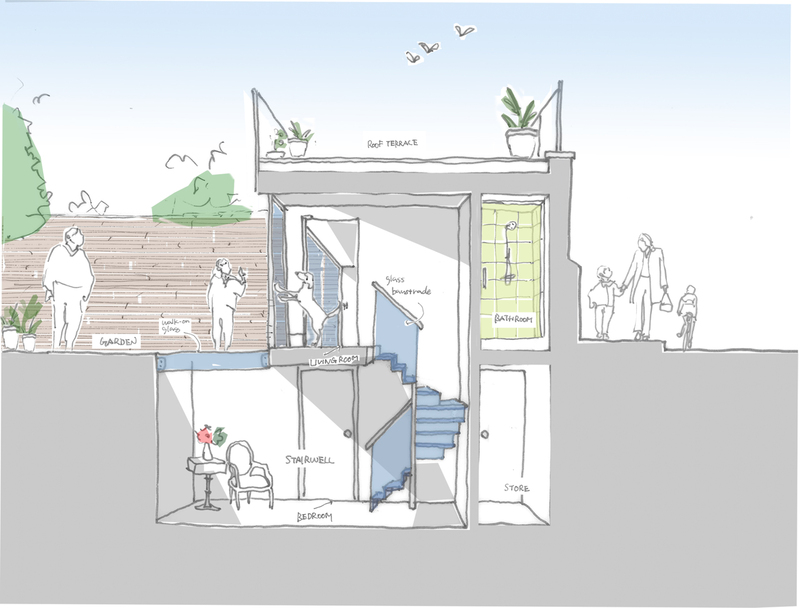 The new modern two storey extension and roof terrace will be of the same footprint, but extending below ground instead of above in order not to be visible from surrounding streets. Avoiding dark underground spaces was of the utmost importance, so the basement is extended under the garden with walk-on glass roof. A new glass staircase enables the stairwell to become a sun space. 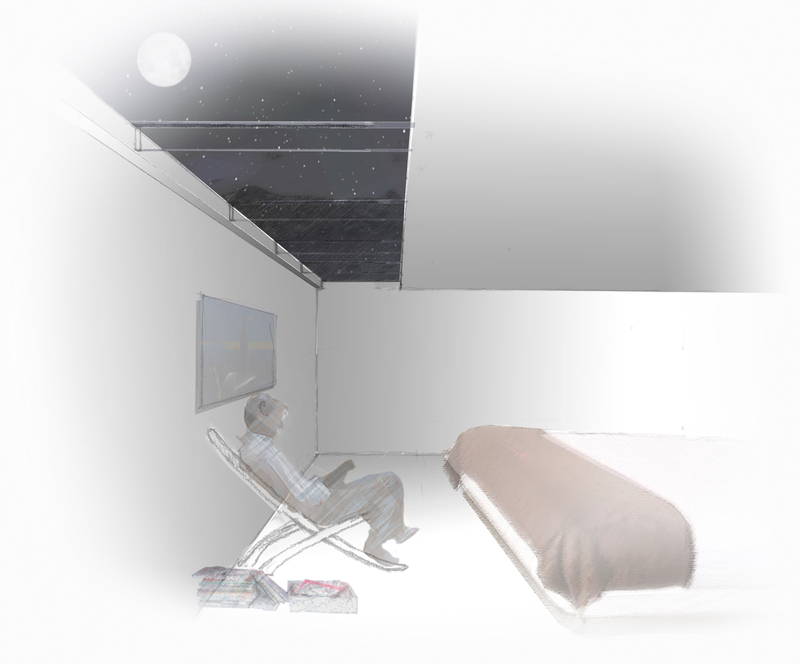 The new bedroom’s ceiling allows for views of the garden and the sky. 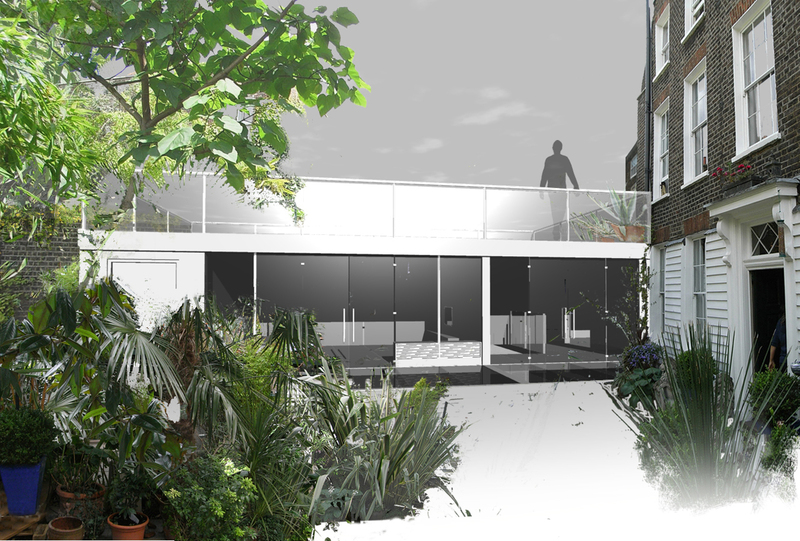 The fully glazed wall at ground floor level will allow the garden to be appreciated to its full extent and create a feeling of openness and light. The glass can be opened up to link indoor and outdoor spaces. Watercolour C H Mathews- 1825-1852 – showing the house in the background. 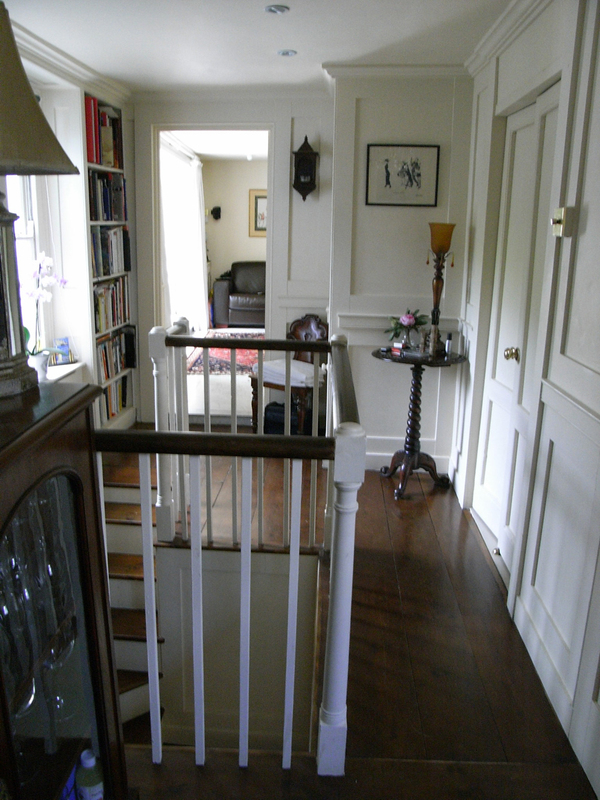 Extension internal view – stairs to basement. Proposed exterior view of new extension.